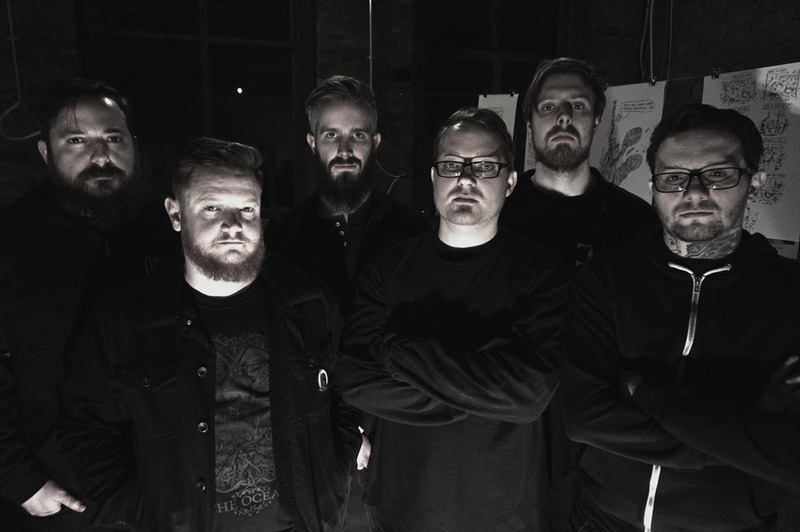 ‘Black Fire’ is the debut single from Leeds doom / sludge metal six-piece Hundred Year Old Man. The press release suggests it’s ‘the perfect introduction to the Hundred Year Old Man world’. It’s ten and a half minutes long. It was actually recorded some time in 2015 or 2016 and first saw the light of day in February 2016, but it’s only now that it’s getting an official release. But then, with music like this, it seems only fitting for things to move at a tectonic pace. You can’t rush this kind of thing, and no, I’m not being sarcastic. When it comes to producing megalithic doom epics, there has to be a certain attention to detail, to structure, to tone. Because the way sound interacts with sound matters: at volume, notes resonate against one another, frequencies rub and reverberate and they have a physical and well as cerebral impact. Every moment on this monumental piece is honed to perfection, to achieve maximum sonic impact. Each shuddering power-chord hangs and simmers for what feels like an eternity, vibrating the ribs, the lungs, the colon. As titles go, ‘Black Fire’ may well be a doom / sludge / metal cliché of the highest order, but by the same token, it sets an expectation that Hundred Year Old Man fulfil with consummate ease. It is, of course, the sound of beards and hoodies and tattoos. And it’s a punishing, brutal trudge. The guitar sound is so thick, the bass sounds like the tearing of a corrugated cardboard box, and the weighty throb is completed with a nihilistic holler that’s more Godflesh than anything else that comes to mind. There are some well-placed changes of tempo that provide vital dynamics, and when they hit a groove it’s solid and hard. There’s a lot of promise here, and with a 12” EP threatened for early 2018, maybe they’ll get around to a full-length album before I’m a hundred myself.